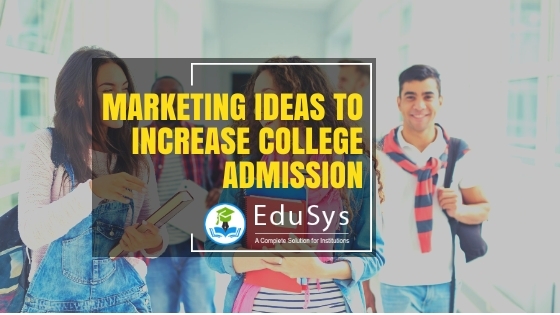 Earlier, educational institutions relied on traditional marketing ideas to increase college admission. These old-school strategy ideas for attracting students towards enrollment mainly involved public campaigns, direct post mails, newspapers, magazines, TV and radio advertisements, and billboard announcements. In any case, as time passed and technology developed (especially invention of the Internet!) some pretty easy, cost-efficient and creative ways to reach and discover people came to see the daylight. These almost inexpensive and affordable online strategies are now gaining viability. They are being implemented by many organization including colleges and higher education establishments – Universities – to reach and attract potential candidates. Administration regularly asks how they can increase admission enrollments in their private, public, government and community colleges. They tend to disregard the importance of digital marketing in this current web and internet predominant era. With help an effective digital marking team, colleges can set up correspondence to assemble a fruitful and creative website that can reach millions from a single location. Utilizing Google Ads and social media platforms such as Instagram, Facebook, Twitter, etc., for advertisements is one of the best advertising strategy. With the referral program, institutions can freely market themselves by tapping into a large, qualified pool of college seeking candidates. Encouraging students with rewards for bringing in their friends and family members looking for admissions is a good marketing idea. The concept of the student referral program is to turn all the students into recruiters. How to Implement the Referral Program? 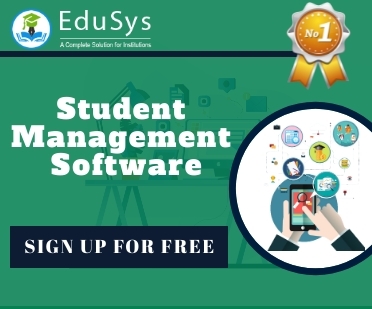 EduSys is a cloud-based Higher Education Software with easy-to-use Student Referral Program module. It is organized and structured for college management. Here, the administration can pass on information to students to recommend qualified friends, relatives or candidates for admission openings. Unlike sourcing, it is an internal method used to identify, evaluate and enroll new candidates with help of current existing students. Hiring College Admission Consultancy can turn out to be a great marketing asset for both the students, aspiring to pursue admission in colleges, and the administration, looking for new entrants. These way institutions can eliminate the manual process of contacting or approaching candidates and completely sit back and relax while the third party consultancies take care of the enrollments procedures. Education Fairs serve as a grandstand for all colleges by bringing students and parents under a single roof. Here, everyone gets an opportunity to meet and explore college courses and programs. This likewise gives institutions a chance to inspire students to think about the diverse educational programs in their college while marketing admission enrollments. Collaborating with coaching classes gives colleges a chance to influence college aspirants. Coaching centers, which prepare students for entrance exams, are great potential places for marketing college admissions. Coaching institutes have their own different marketing strategies to attract students. Print Media Advertisement involves newspapers, pamphlets, and magazines. Here, colleges can reach a particular set of audience and target one specific locality. Since this mode of advertising is one-time-investment and time-specific, one must cautiously mind the ads content, size, page number. Unlike digital marketing, print media advertising is sometimes expensive and unchangeable once published. Thus, caution is advised while adopting this mode of the marketing idea.